As Marques Brownlee said in his video, “On the ‘Perfect Smartphone’,” we now measure phone releases by what they’re missing or their flaws than what they’re doing right. Android phones released today are doing so many things right whether it’s the camera in Samsung’s latest Galaxy series or the front facing speakers of HTC’s One. With many Android enthusiasts looking forward to the reveal of Google’s next two Nexus phones, potentially on September 29, I decided it’s about time I weigh in on what I’m looking for in my next smartphone. For anyone looking to catch up on the rumored specs of the next Nexii devices, check out this article. OS: This is an easy one for me: the latest stock version of Android with quick updates from Google. The ability to unlock the bootloader and root are still very important to me, as well. Because I still enjoy custom ROMs, I’d want a phone that will have strong community support. Even though the LG G2 had pretty good custom ROM support, it still paled when compared to a Nexus. 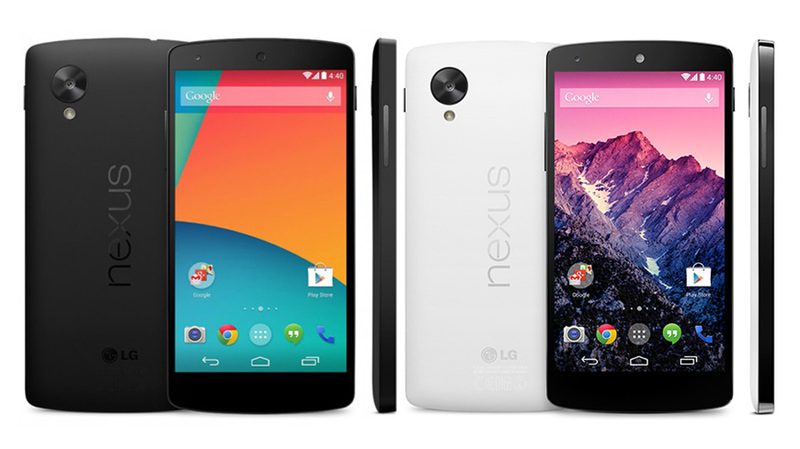 How the development community will be bifurcated with two different Nexus phones this year will be interesting to see. Screen: Honestly, I don’t have a huge opinion between 1080p and 1440p screens. If the battery and processor can handle it, I’d love the 1440p screen. More importantly, I want a screen that can get very bright in direct sunlight. This usually isn’t a deciding factor for me in a smartphone. As for screen size, I think something between 5.2″ and 5.5″ is the sweet spot with minimal bezel. The Nexus 6 is a fantastic phone but I find the shear size of it to be overwhelming from time to time. I don’t need any of the fancy bendable displays or edge displays although I am interested in the self-healing tech shown with the LG Flex or having a sapphire-coated display to make it even more scratch resistant. Battery, Expandable Storage: I’m just going to address these two up front. I know a lot of people want a removable battery and expandable SD card storage. Personally, I don’t mind NOT having these things as long as the battery is large enough to support the phone and that I have 32-64 GB of internal storage. I’ll be honest and say I’ve been a bit disappointed with the Nexus 6’s battery life when compared to the LG G2, my previous phone. Speakers: This is an easy one: front facing speakers. I cannot go back to having a speaker on the bottom of the phone or, even worse, on the back of the phone. I also prefer to have the headphone jack to be on the bottom, but hey, I can compromise on that part. USB Type-C and Quick Charge: Apple has had a reversible charging cable solution with its lightning cable for a while now, so it’s about time my next phone have this with USB Type-C. However, it needs to be a USB 3.1 Type-C port so that it can take advantage of quick charge. Quick charge is seriously one of the best things to happen to phones in 2014/2015 although it’d be even better if we could get phones to last multiple days. But hey, until we get there, quick charge is a huge time saver. There are some people who also want wireless quick charging, which the Galaxy Note 5 has, but I can live without this feature if I have Type-C.
Fingerprint Reader/NFC: I always thought the fingerprint reader was a huge gimmick on the iPhone, but I can’t dispute the security features it brings. With Android 6.0 Marshmallow, fingerprint readers will now become more common in Android phones. From banking apps to Android Pay, the fingerprint reader will be an important feature to have. I’m not thrilled with having a dedicated fingerprint reader on the back and look forward to seeing it built into screens of the future. Speaking of Android Pay, this is the app that will turn NFC from cool feature to needed feature – I’m talking about you, OnePlus Two. Processor: The latest and greatest processor is always desired to prolong obsolescence. This is one reason why the leaked specs of the new Nexii have me worried. It’d be nice if one of these devices sported Qualcomm’s new Snapdragon 820, but this processor isn’t expected to hit phones until next year. Radios/SIM Card: I prefer to have a phone that is truly global by providing as many radio band supports as possible. This makes traveling abroad easier. At the very least, the phone should support all four major carriers in the US like the Nexus 6 did. As for the SIM Card, I know there are a lot of people who want dual SIM card support, but I don’t care one way or the other for this. Camera: Is it enough for me to say I want a top of the line camera? I want a camera that is up there with the iPhone and Galaxy series. I want a camera that takes good pictures in both sunlight and low light scenarios. Dual LED flash? Cool. OIS? Sure. Laser auto focus? Yes, please! The megapixels don’t matter as long as it’s able to capture fantastic shots quickly. It’ll also be important that the software processes the images without over saturating the colors or adding too much contrast. I’m okay with the 5 megapixel front facing camera that is becoming the norm along with flash. Design: I guess it should go without saying that the design of the phone should look good. It should minimize bezels and have a form factor that will be easy to grip and hold. Many of the Android flagships coming out these days are very slippery. The level of customization presented by Moto Maker is a nice perk, but not needed if the phone already looks fantastic in black or gray. Yeah, I’m that kind of guy. It would also be great to have a phone that is dust and water resistant with an IP67 rating or above. Price: Last but not least is price. I know the “perfect” phone won’t be cheap, so I’m willing to spend $700+ on it. After all, I’m getting something as powerful as a computer in pocket size. The Moto X Pure Edition is offering fantastic specs for a very reasonable $400, so who knows. Point is, I’m willing to spend money for a phone that meets my needs. We’ll find out whether or not one of the Nexus phones this year will check off all or most of my boxes here later this month.